I started thinking a few nights ago – not for the first time – about the greatest physicists in history. I pondered the fact that probably there are some truly great physicists whose work was or is unremittingly brilliant, but I’ve never heard of them because in addition to its brilliance, their work is relatively obscure. An easier approach is to think about history’s most influential physicists. I came up with this Top 10. I tried to pick the physicists most influential in fulfilling the purpose of science, which I would roughly define as the activity which increases our understanding of the behavior of the universe and everything it contains. I also took account of the influence that their work had on other scientists. Here are my picks – in historical order. Lived c. 610 BC – c. 546 BC. Anaximander is responsible for the idea that the earth needs nothing below it to support it. He said that the earth floats in the center of infinity, held in position because it is an equal distance from all the other parts of the universe. In doing so, he transformed the way we think of our planet and simultaneously introduced the idea of a force of attraction between the earth and the planets and stars in the heavens. Lived c. 287 BC – 212 BC. 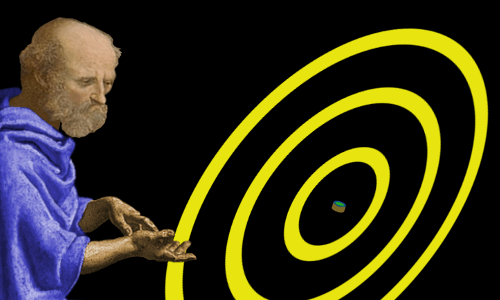 The greatest scientist of ancient times, Archimedes pushed mathematics, physics, and engineering to new heights. He created the physical sciences of mechanics and hydrostatics, discovered the laws of levers and pulleys, and discovered one of the most important concepts in physics – the center of gravity. He applied advanced mathematics to the physical world and his surviving works inspired both Galileo Galilei and Isaac Newton to investigate the laws of motion. 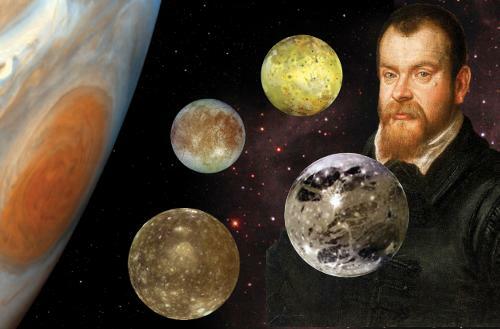 Galileo was one of the first people to study the sky with a telescope. He was the first person to discover moons orbiting another planet, discovering Jupiter’s four largest moons. He discovered that Venus has phases like our moon – the first practical rather than mathematical evidence that the sun is at the center of the solar system. He discovered the Law of the Pendulum. He discovered that gravity accelerates all things equally, regardless of mass, and that acceleration of objects by gravity is proportional to the square of the time they have been falling. He stated the principle of inertia – in other words he discovered Newton’s First Law of Motion. His discoveries in the field of mechanics shattered the mistaken physics of Aristotle that had dominated Western thought for two millennia. 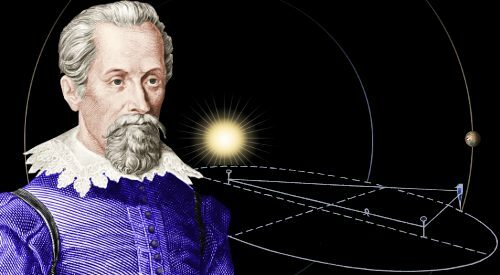 Johannes Kepler broke the tradition of thousands of years of astronomy, discovering that the heavenly bodies follow elliptical paths. Kepler’s laws of planetary motion were an absolutely crucial breakthrough in our understanding of the universe. 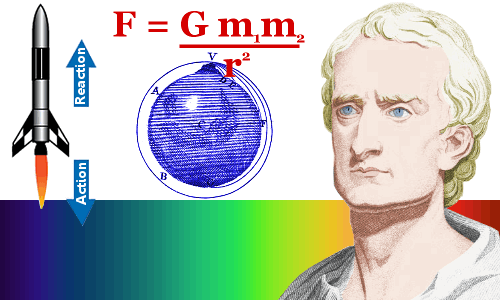 Kepler’s third law enabled Isaac Newton to establish the inverse square law of gravitation. Kepler himself discovered the inverse square law of light intensity. He discovered that our eyes invert images and our brains correct the upside down images. He was the first person to prove how logarithms work, allowing physical scientists to use these fundamental tools free of anxiety. Newton discovered the law of universal gravitation, proving that the moon orbits the earth for precisely the same reason that an apple falls from a tree. He formulated three laws of motion – Newton’s Laws – which lie at the heart of the science of movement. Furthermore, he proved that sunlight is made up of all of the colors of the rainbow and he built the world’s first working reflecting telescope. 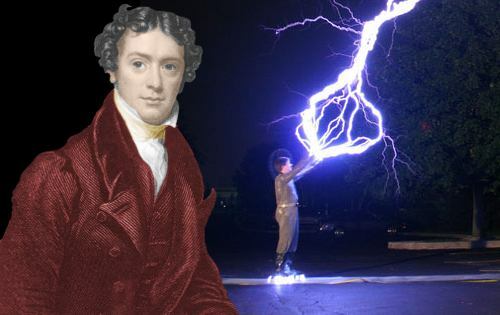 Michael Faraday is probably the greatest experimental physicist ever. By varying a magnetic field he produced electric current in a wire, and so discovered electromagnetic induction, the means by which nearly all electricity is generated by power plants today. He discovered electromagnetic rotation – the forerunner of the electric motor – and he discovered that diamagnetism is a property of all materials. His laws of electrolysis lie at the heart of electrochemistry, which he played a large part in founding. He invented the Faraday Cage, which prevents lightning damaging anything within it and prevents external interference affecting sensitive electric and electronic experiments. He discovered that magnetism and light are related by showing that a magnetic field rotates the plane of light polarization. He was the first person to liquefy gases, and he discovered the enormously important chemical compound benzene. 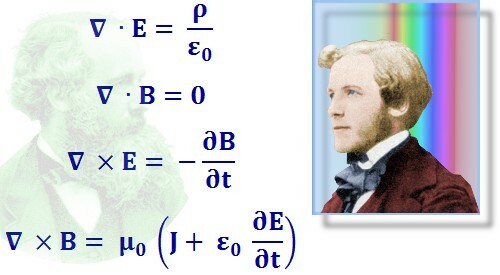 James Clerk Maxwell’s work heralded a new epoch in physics – he unified the electric and magnetic forces, showing that they are fundamentally the same force. His equations showed that when electric charges accelerate they release waves of electromagnetism traveling at the speed of light, establishing that light itself is an electromagnetic phenomenon – in doing so he unified electricity, magnetism and optics. His kinetic theory of gases accurately explained the origin of temperature and he introduced probability theory into the physics of the very small, which today is indispensible. He was the first person ever to produce a color photograph; and, with tremendous mathematical and physical intuition, he explained the behavior of Saturn’s rings over 100 years before the Voyager spacecraft confirmed that he was absolutely right. 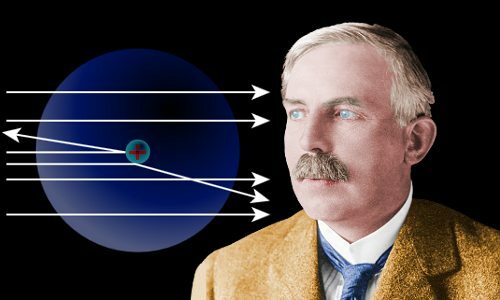 Ernest Rutherford is the father of nuclear chemistry and nuclear physics. He discovered and named the atomic nucleus, the proton, the alpha particle, the beta particle, and he predicted the existence of the neutron. He discovered the concept of nuclear half-lives and achieved the first deliberate transformation of one element into another, fulfilling one of the ancient passions of the alchemists. An unusually large number of young scientists who spent time working with him went on to win Nobel Prizes, including James Chadwick, Cecil Powell, Niels Bohr, Otto Hahn, Frederick Soddy, John Cockcroft, Ernest Walton and Edward Appleton. Albert Einstein rewrote the laws of nature. He completely changed the way we understand the behavior of things as basic as light, gravity, space and time. He established that everyone, whatever their own speed relative to light, measures the speed of light to be 300 million meters per second in a vacuum. This led to the strange new reality that time passes more slowly for people traveling at very high speeds than for people moving more slowly. Hence space and time actually merge into the single phenomenon of space-time. He discovered the iconic equation, E = mc2, which shows that energy and matter can be converted into one another. 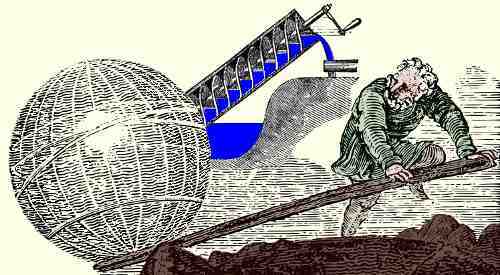 He rewrote Newton’s law of gravitation, which had been unchallenged since 1687. 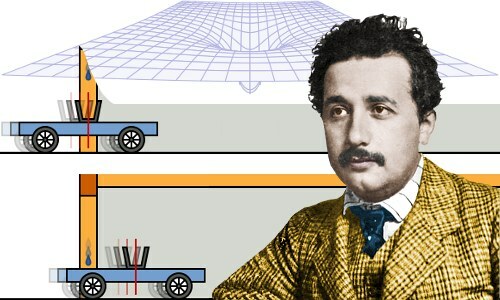 In his General Theory of Relativity, Einstein showed that matter causes space-time to curve, which produces the phenomenon that we call gravity; he showed that the path of light follows the gravitational curve of space; and he showed that time passes more slowly when gravity becomes very strong. He also demonstrated the photoelectric effect, establishing that light can behave as both a wave and a particle. 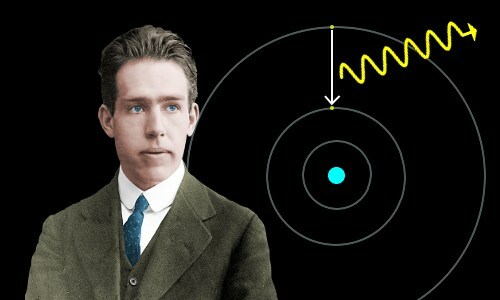 Niels Bohr completely transformed our view of the atom and of the world. Realizing that classical physics fails catastrophically when things are atom-sized or smaller, he remodeled the atom so electrons occupied ‘allowed’ orbits around the nucleus while all other orbits were forbidden. In doing so he founded quantum mechanics. Later, as a leading architect of the Copenhagen interpretation of quantum mechanics, he helped to reshape our understanding of how nature operates at the atomic-scale. 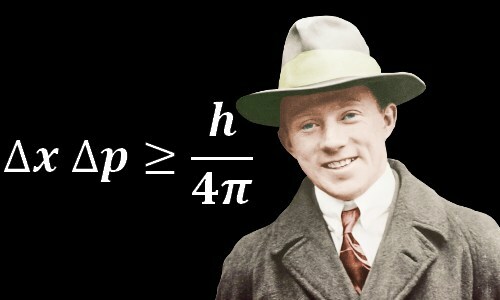 Werner Heisenberg played a crucial role in the creation of quantum mechanics, developing the matrix mechanics formulation, establishing that the behavior of atomic sized particles is very different from larger objects, sometimes with bizarre consequences. Although Albert Einstein did not like it, Heisenberg showed that God continuously plays dice with the universe. Heisenberg’s uncertainty principle established that particles have paired properties that cannot both be known precisely. For example, if you know a particle’s position with high precision, you cannot know its momentum with high precision – there is always a level of uncertainty. Erwin Schrödinger established the wave mechanics formulation of quantum mechanics which, in contrast to Werner Heisenberg’s matrix formulation, allowed a degree of visualization. Schrödinger portrayed electrons as waves, spread out rather than in any given location. He showed that his wave and Heisenberg’s matrix formulations, although superficially different, were mathematically equivalent. 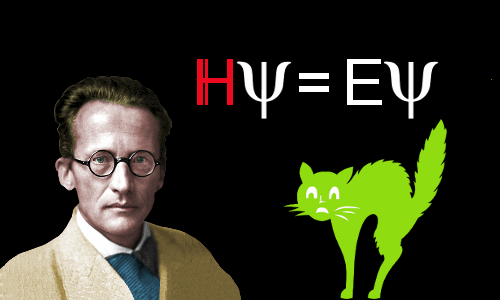 In his later years, Schrödinger became unhappy with quantum mechanics and is famous for the Schrödinger’s cat thought experiment, in which he attempted to show the absurdity of the Copenhagen interpretation of quantum mechanics. Surprisingly, for a physicist, his favorite book of all time was Charles Darwin’s The Origin of Species. Schrödinger’s 1944 book What is Life?, although not entirely original, had a profound effect on the future of genetics and molecular biology. Schrödinger wrote that the gene was an aperiodic crystal – a code script for life. His book inspired a number of scientists – including three of the main players in the discovery of DNA’s structure – Francis Crick, James Watson and Maurice Wilkins – to pursue research in that field. 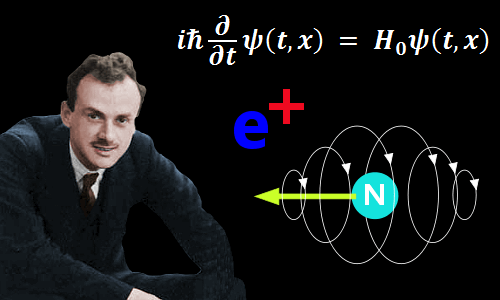 Paul Dirac completely reshaped quantum mechanics with the astounding Dirac Equation. The Dirac Equation explained the behavior of electrons, including those traveling at relativistic speeds, and foretold the existence of antimatter. Dirac was also able to infer the existence of vacuum polarization, revealing that what we once believed was empty space is actually awash with short-lived particle-antiparticle pairs. Dirac founded quantum electrodynamics, accounting for the creation and annihilation of photons of light within atoms, and his Lagrangian formulation of quantum mechanics led to Richard Feynman’s path integrals. Dirac showed that quantization of electric charge occurs naturally if a magnetic monopole exists somewhere in the universe. He also created a prototype string theory. Richard Feynman developed Dirac’s Lagrangian formulation of quantum mechanics into a complete, useable method using path integrals. From there he developed the new mathematical language of Feynman diagrams, which made accurate calculations in quantum electrodynamics both possible and convenient. 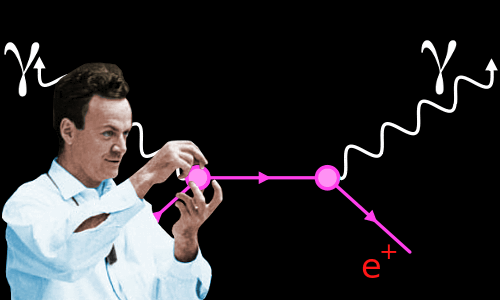 Feynman diagrams are now indispensable for calculations in quantum field theories, including the Standard Model of particle physics. In 1957, Feynman explained parity violation in weak nuclear force interactions – the theory is known as the Feynman-Gell-Mann Sudarshan-Marshak theory. Nanotechnology was Feynman’s creation. In 1959 he delivered his There’s Plenty of Room at the Bottom lecture at Caltech. Feynman’s visionary talk considered, among other things, what could be achieved if scientists could manipulate individual atoms. Although Feynman’s vision made little impact at the time, technology has more recently been catching up with his ideas. Feynman’s charismatic and engaging way of talking about physics left a deep impression, inspiring both scientists and non-scientists to learn more about the way our world works. Feel free to offer your own thoughts and picks in the comments section below. Okay, that does it – my personal Top 10. Before signing off, I’ll add honorable mentions for Johannes Kepler, Erwin Schrödinger, Paul Dirac, and Richard Feynman – all of whom I feel sorry about omitting from my list. Zefram Cochrane, invented warp drive. Oh, wait, he’s not in the past, he’s in the future. Einstein’s work was theoretical. Tesla’s was practical. Einstein was well educated. Tesla was self-taught. Einstein’s work led to nuclear power. Tesla’s led to widespread distribution of power. If there was no Einstein how different would the world be today? If there was no Tesla how different would the world be today? So The Doc, reconsider your opinion and read more. Hey Catalin, thanks for your comment. We’re all entitled to our opinions and I’m a great advocate of everyone reading more. I’d be careful of that quote from Einstein you mentioned, though. The internet is full of quotes wrongly attributed to Einstein. Taken that the Universe has no end and we understand that the Universe is always expanding, what happens to gravity, dark matter, magnetism, dimensions, and a slew of other related Physics in the Cosmos while these events transpired? Also, If the big bang theory is real, then can we assume that all of these billion years passed and there is no possibility of these processes being destroyed in space, and we can envision a forever and ever Universe who handles all life indefinitely, whether constructively or destructively? Tesla was a great inventor imho, but I wouldn’t rate him in a physics top 10. Why do you reckon he should be there? I can’t disagree with any of your choices. I think Hawking is a brilliant physicist, but imho he hasn’t changed the world as much as the others. A lot of people say he’s the greatest living physicist but the Nobel prize has never come his way. Your choice and comments are well done, but all belong to the past..
Great post and comments! More specifically for the additional facts that were mentioned on Einstein and even more specifically for the final response from Doc – very receptive and thoughtful in your delivery. ? ? 1. Dirac, Schrodinger and Feynman HAVE to be on your list. Max Born did quite a bit of the mathematics for Heisenberg’s Matrix Mechanics. 2. I also think, if you had to pick between Schrodinger and Heisenberg, Schrodinger would have to be granted the nod given the indispensable nature of his wave equation. And Dirac may have been more brilliant than both of them. 3. You forgot to mention that it was Einstein that ‘proved’ the existence of atoms and molecules, first came up with wave-particle duality, and the first to truly launch the quantum revolution in earnest with his brilliant photoelectric effect paper (which should really be called the quantization of the radiation field). Further, his work on quantum vibrations in 1906, his paper on the specific heat of solids in 1907, his absolutely clairvoyant paper on Stimulated and Spontaneous Emission (i.e. the LASER), which rederived Bohr’s frequency rule and Planck’s radiation formula in completely originally ways that physicists didn’t fully appreciate (“an absolute treasure trove of physics” according to Daniel Kennefick of MIT), and his 1919 “On the Quantization of Chaos” paper, all deserve a shoutout for being decades ahead of their time. Lastly, his work on Bose-Einstein condensates is responsible for superconductivity and predicted an entirely new state of matter. 8 Nobel Prizes have been given out for this alone. Einstein is the real father of quantum theory not Bohr (who was nevertheless a genius in his own right). Ironically, it was Bohr who didn’t believe light was really a particle (he adhered to the wave conception of light for years before Einstein won him over). 4. You guys need to have Alexander Grothendieck SOMEWHERE on your list of greatest scientists/mathematicians. The man is the greatest mathematician of the 20th century and completely revolutionized not only mathematics, but also how mathematicians think about theorems and a priori constructivism. He is probably even more influential than Hilbert and somehow he isn’t on this website. 5. Great article and great website. Keep up the great work! I send all my students here to read on different scientists I cover in class. Very impressed. Thanks for your kind words TLC. I was sorry not to have found room for Dirac, Schrodinger and Feynman in the top 10. It might have been better if I’d done a top 14 or top 15, because I wouldn’t want to remove anyone either. The more I think about it, the more I’m inclined to agree with you about Schrodinger vs Heisenberg, not just because of physics, but because of the enormous influence his 1944 book What is Life? has had on biology. Thanks for adding more about Einstein – it’s truly remarkable how much he achieved. And agreed about Alexander Grothendieck – I’ll add him to the list.